What is Julia programming language? Julia is a very lightweight and fast programming language. It is based on numerical analysis and c, c++. It is very helpful for data science. It is also used a DynamicalSystems.js library. The easy command to access. Step-1. Go to web browser write a link https://julialang.org/ press enter. Step-2. See menu-bar Click download button. Step-3. 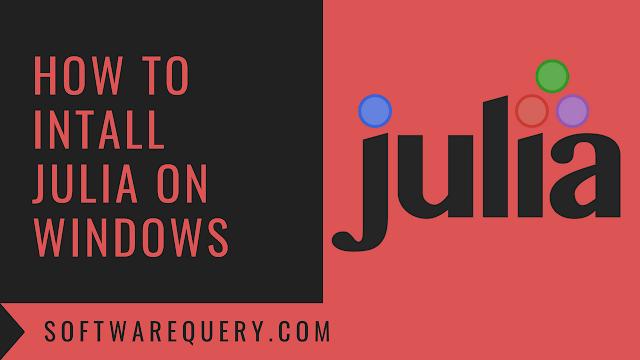 Scroll a page and see Julia command line version and if you want windows then click 32 bit and 64 bit or if you have macros then select 10.8+64 bit and if you have Linux then select 32bit or 64 bit. Step-4. After download setup open download folder and double click on julia icon. Step-5. click on run button. Step-6. If you want to locate new location click browse button then click the install button. Step-7.Click create desktop shortcut icon then click finish button. Step-9. Let's do some code julia> M=[1 2 3; 4 5 6; 7 8 9] press enter.